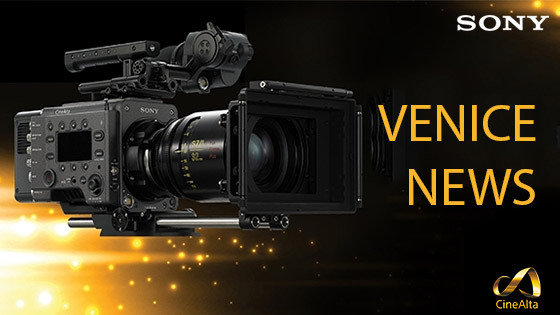 What a difference a year makes… at the BSC Expo in 2018 Sony were despondent as ARRI launched their 4K Alexa LF camera to counter the Sony VENICE. Along with 16 large-format Arri Signature Prime lenses it appeared to be the camera the industry was waiting for…or was it? On closer inspection and as the finer details were released the camera didn’t seem to match the pre-launch hype. 12 months on and the fortunes of the two rivals appear to have reversed. Sony has got their act together and the VENICE has been used on some high profile movies and TV dramas. The ARRI Alexa LF on the other hand has struggled to make the impact of the original Alexa and Alexa mini. Don’t get me wrong ARRI still leads the way in the Oscar nominated movies this year but what will 2020 bring ? Enough of the background, if you have a VENICE or are thinking of renting or buying one then the news about firmware V3.0 available and V4 prelim info will be music to your ears. Version 3.0 is offering many new features which will increase the flexibility of VENICE even more. It is also mandatory if customers want to use the upcoming “Rialto” Extension System. With the release of V3 for VENICE Sony have also updated their out RAW Viewer application to V3.2. This is available via www.sonycreativesoftware.com webpage. To whet your appetite, the details about the HFR (high frame rate) possibilities of VENICE and the other gems that are coming in June 2019 with V4.0 are listed below.